The biggest question looming over the Democratic Party right now is not who will win the party’s presidential nomination. 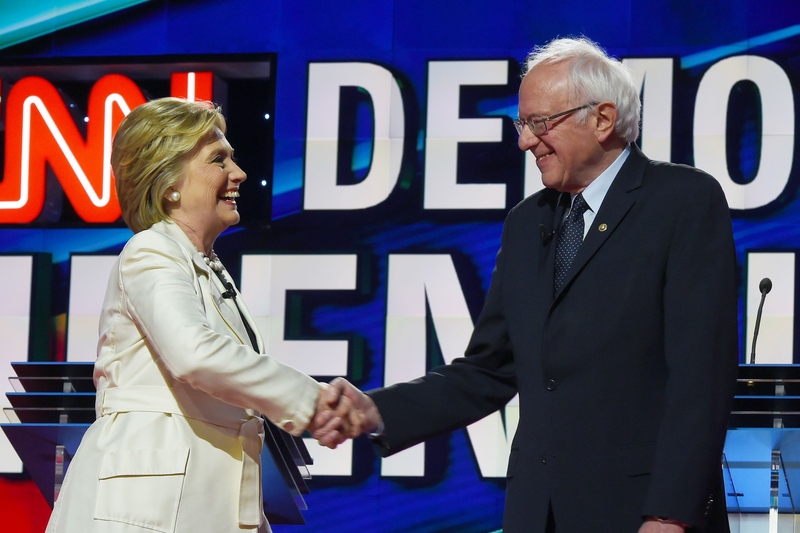 It’s whether supporters of Hillary Clinton and Bernie Sanders will be able to work out their differences, unify, and retain the White House in 2016. While the animosity between the two camps has become fierce, Sanders just scored a major concession from Democrats that could go a long way toward healing the wounds. The Democratic National Committee announced Monday that Sanders has been allowed to appoint five members of the 15-member Drafting Committee, a powerful body in the party that helps craft its official platform. Clinton will get to appoint six members (since she received a slightly higher share of the popular vote in the primaries), and DNC chair Debbie Wasserman Schultz will appoint the remaining four. This will be the case regardless of who ultimately wins the primaries. On the surface, it might not sound like much. Sanders allies will only make up one-third of the committee. Furthermore, many Sanders supporters believe Wasserman Schultz is in the tank for her and will perceive this as a “two-thirds Clinton, one-third Sanders” committee. There’s some validity to both of those arguments, but this is still a big deal. Technically, the DNC chair has the authority to appoint whoever she wants to the Drafting Committee, and usually does so in consultation with the eventual nominee. But Sanders’ appointees will get to be on the committee even if he loses the nomination. That’s a huge break from the past, and the exact kind of internal change Sanders has been demanding of the Democratic Party for months. Furthermore, this move gives Sanders room to accomplish his stated goal of pushing the party’s official policies in a more progressive direction. While the platform itself isn’t binding, it’s hugely influential, because candidates for elected office at the local, state, and federal level generally adopt most (if not not all) of their party's platform. If Sanders is able to move the Democrats’ platform leftward, even a little bit, thousands of Democratic candidates across the country will be endorsing more progressive policies than they otherwise would have been. Sanders’ appointees to the committee are Dr. Cornel West, Arab-American Institute President James Zogby, Native American activist Deborah Parker, environmentalist Bill McKibben, and Rep. Keith Ellison. "We are delighted to bring together this talented group of Democrats," Wasserman Schultz said on Monday. "These individuals represent some of the best progressive thinking from across the nation. I am confident that the members of this committee will engage Americans in a substantive dialogue of ideas and solutions that will inform our Party Platform." This isn’t going to singlehandedly fix the rift between Sanders and the DNC, nor will it guarantee that Sanders voters will pull the lever for Clinton if she wins the nomination. But the fact that Sanders, Clinton, and the DNC were all able to agree on something is a welcome change from the tension that's hung over the race for the past several weeks, and represents a big step in the right direction for everyone in the party.